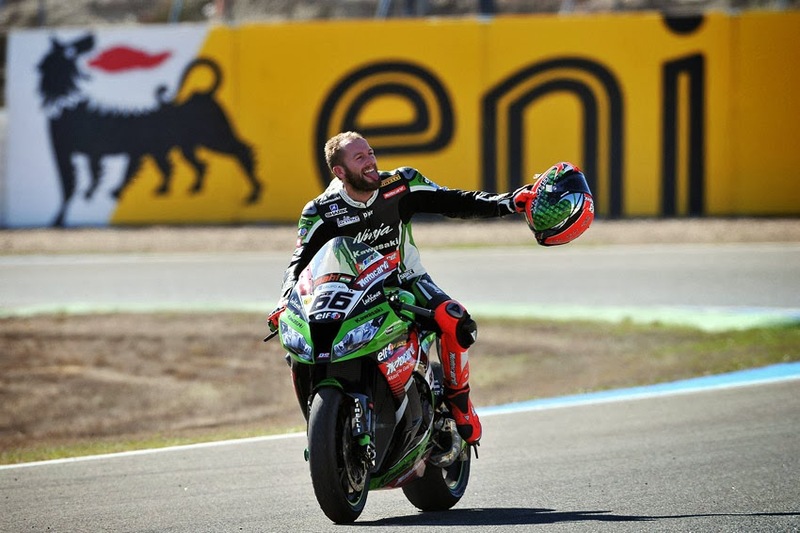 Dainese's Tom Sykes was crowned World Superbike champion at the last round at Jerez, Spain. his championship win safe. Sykes received his trophy and was awarded the World Championship title still with the second 21-lap race to complete. Gathering his emotions for race two Sykes led for 13-laps but eventually crossed the line in second place, with a final championship advantage of 23-points. Not only did the Dainese rider score a new Jerez lap record, but he led for 255-laps over the whole season - more than twice the total of the next best rider.